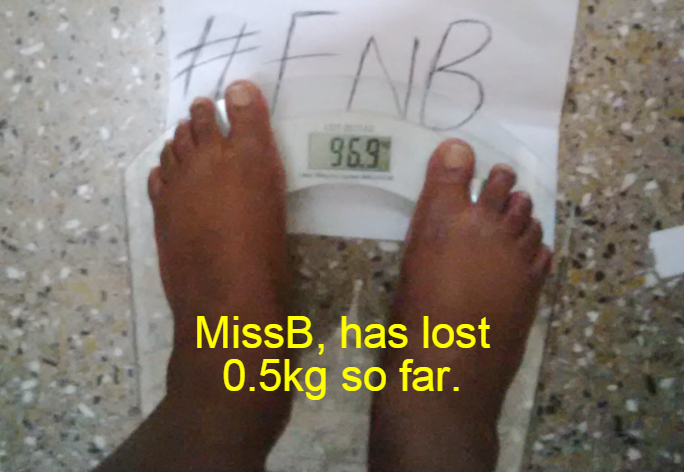 The Fuel and Burn (#FNB) weight loss challenge; Results after week 3. As I type this, (Sunday night) sleep full my eye. I had a very busy and eventful weekend. I thank God it all went well. Woohoo!! Happy new month guys. Its my Favorite month of the year. My birthday is almost here. I am usually not this excited about my birthday, but this year is different. I will tell you more as the time draws closer. You might get irritated at a point but, abeg no vex too much. Hehehe! 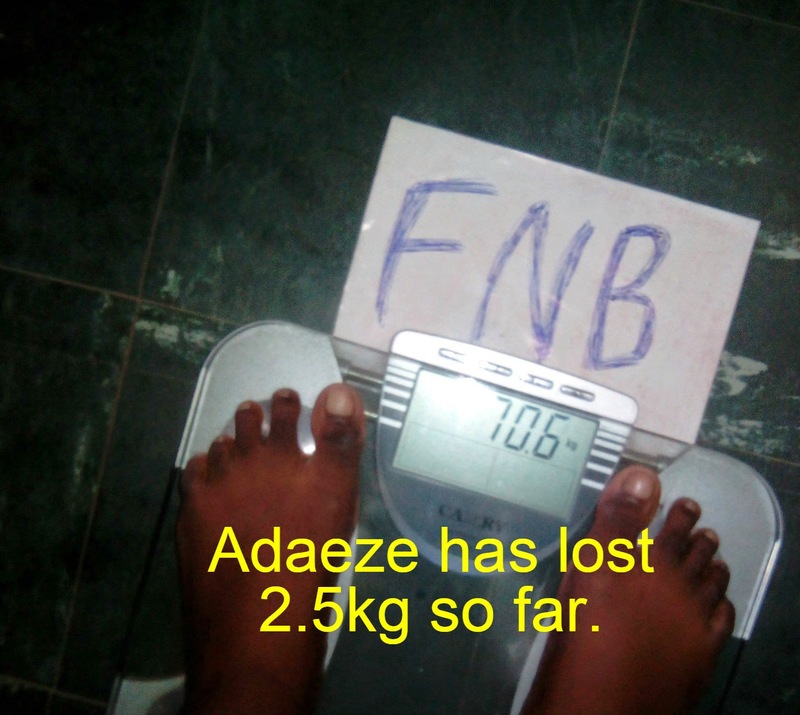 You guys might think that the current weight loss battle isnt fun, na lie, it is oooo. You know we formed a BBM group? That is where all the fun is happening. The ladies are sharing their meals, workouts, experiences, temptations and progress on the journey. Its been very interesting and the competition is HOT!! I think this way is better because, they are getting results! These babes are not smiling oooo. 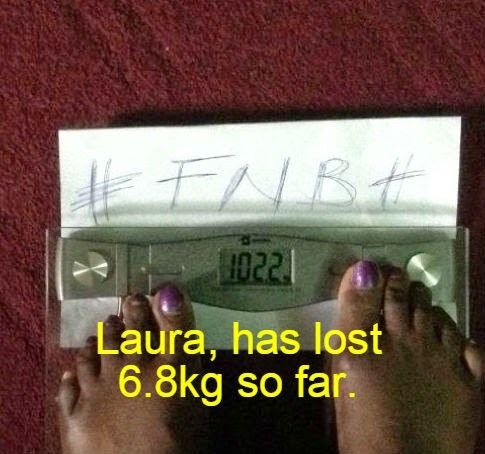 Great work Ladies, keep it up but, remember the winner will not be chosen based on scale figures alone. 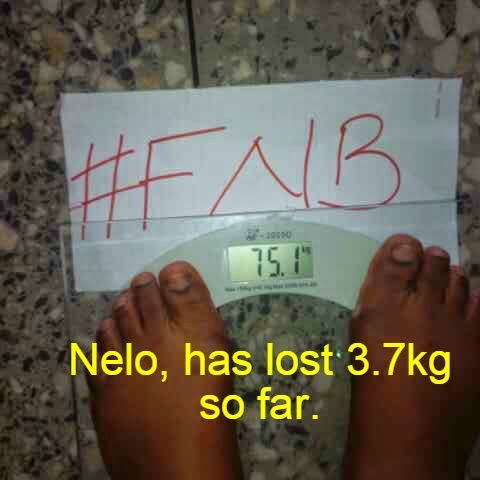 We need results, results, results (Physical changes)!!! Work hard, put in at least 30 mins of workout daily and eat well, you will see loads of changes. At the end of the day, lets remember this is a lifestyle change, do things that you can keep doing even after the challenge. 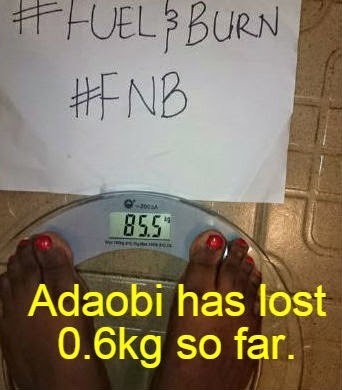 Please comment ooooo (i go cry ooo), share your own weight loss stories, I would love to read them. Your story could touch a life somewhere, trust me on that. God bless. 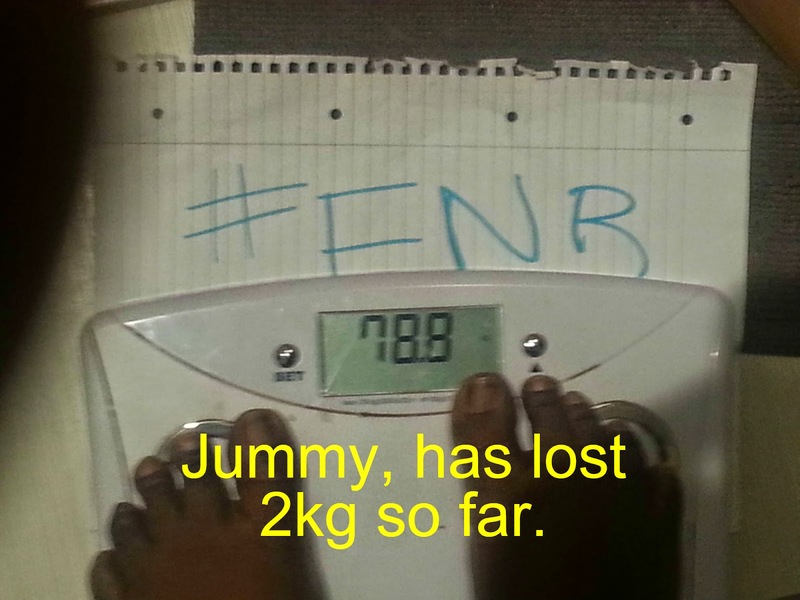 Good morning friends and morning to you Cheliz,glad to know your weekend was wonderful.Thumbs up to the F & B ladies its not easy.Anyways am going to share my weight loss progress so far.I really wanted to join the Oct challenge but I couldn't so I started my journey on the 6th of October,2014.My plan was to eat clean and get registered in a gym but that didn't pan out as well but I made no excuses since i was desperate to lose weight. 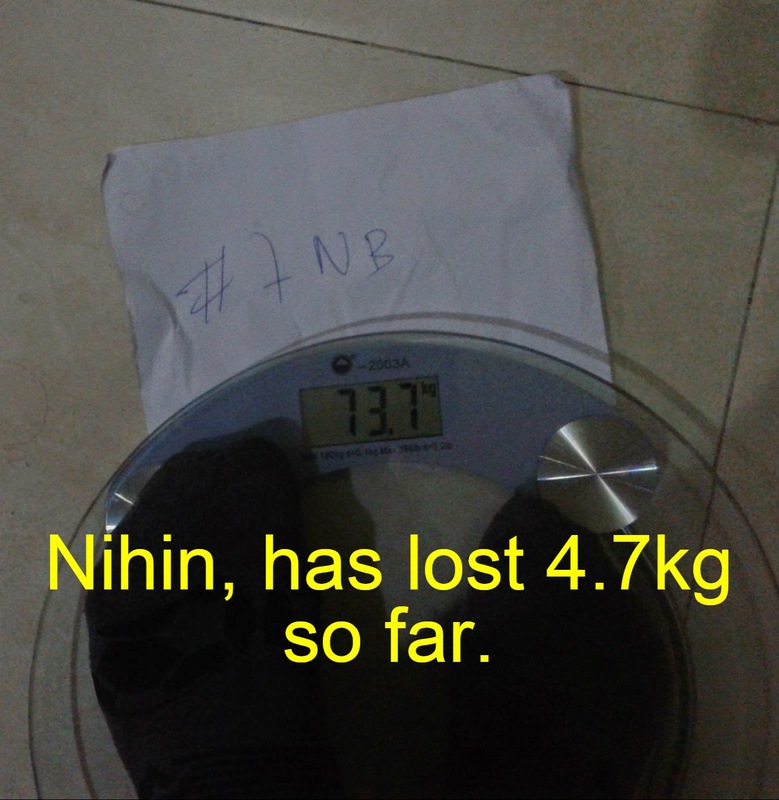 NB...My initial weight was 82.5 kg and my target weight is 62kg,which means my goal was to liquify about 20.5 kg worth of fat. So here is what i did and have been doing.I calculated my BMR taking a sydentary lifestyle into consideration and i got 1892,so i tried to reduce my daily calorie intake to 800 cal thereby making my body to use the already stored fat to power my system for the day. 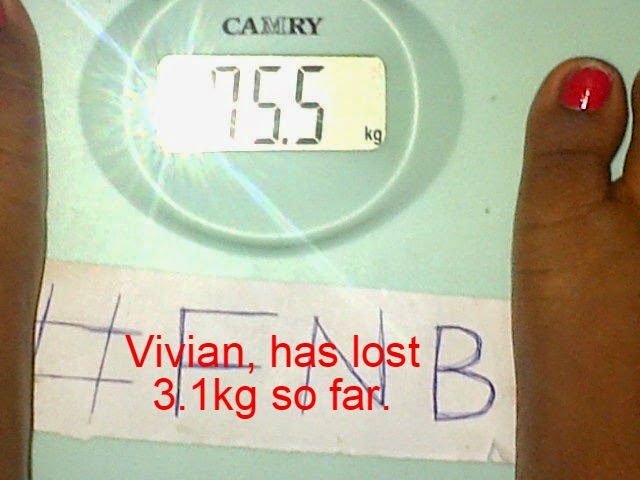 (NOTE:Most times I fall off the wagon and consume about 1000-1300 calories but the weight was still coming off).I eat high fibre and high protein meals eg oatmeal and skimmed milk,kellogs fruit and fibre,beans,clean shawarma(without any salad dressing just a lot of high fibre veggies and little chicken) and so on. 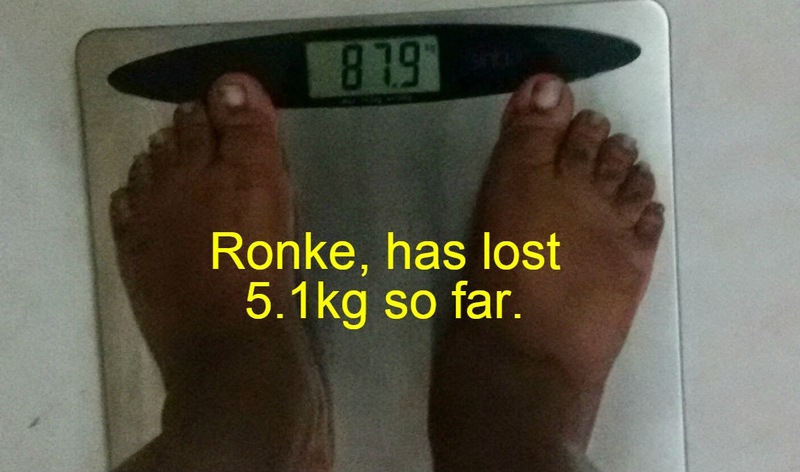 Right now as I publish this comment i have lost 5.2kg WITHOUT EXERCISE.The weight is coming off slowly but surely. 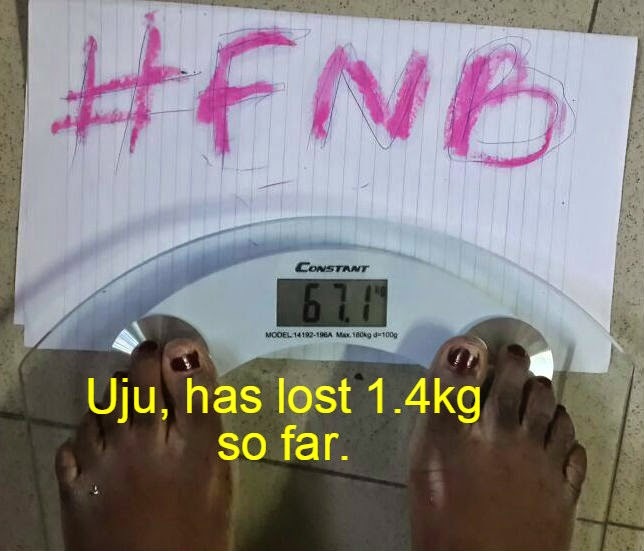 My no 1 motivation is this beautiful lady called Mrs Cheliz,the moment I heard her story and came across her blog i knew that i could do it.And her constant tips on weight loss in this blog also helped a whole lot. However in this new month am going to be introducing 20 minutes of HIIT workouts daily to my routine in order for me not to reach a weight loss plateau(learnt about that here too). 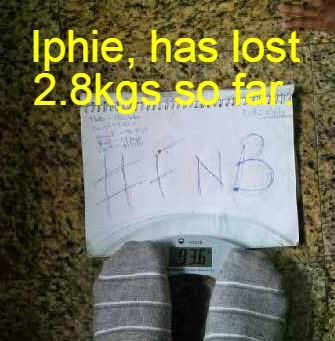 It hasn't been easy guys but I always pray to God for His grace.One more thing,I journal every thing that goes into my mouth and i count calories..calorie count,livestrong,fat secret and fitness pal helped me do that.This comment is getting really long so I'd stop here. Wow! 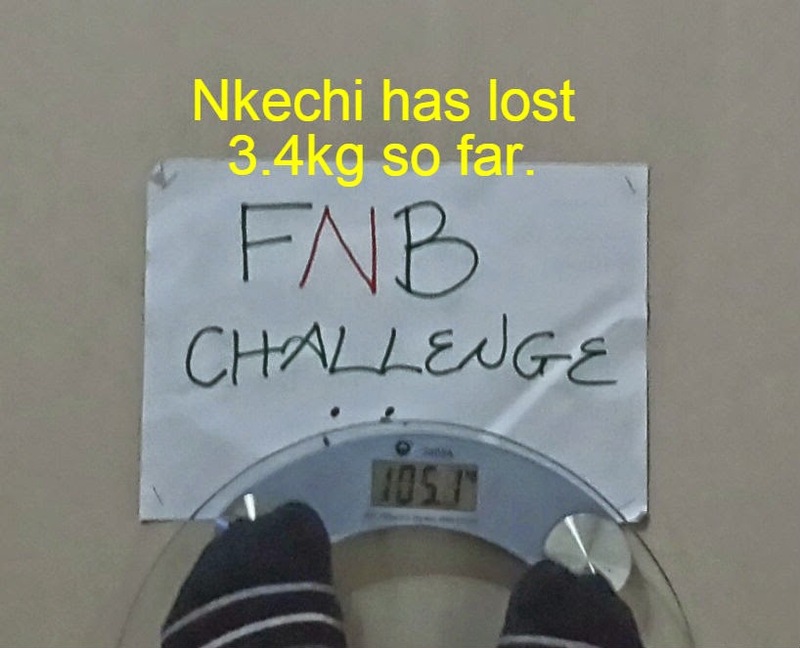 Chioma, i remember when you called me o, are you saying you have lost 5.2kgs already??? I am impressed!!! You see what happens when you focus on what you want and not let ANYONE stop you. Keep it up my luv and please lets know how ur doing as time goes on. I love you for this, God bless. This is pure wickedness Kate. Hahahaha! Let Amanda catch you first. You are doing great sweety, I told you i will not let you go this time, you are stuck with me o. Lmao!!! Jesus is Lord. 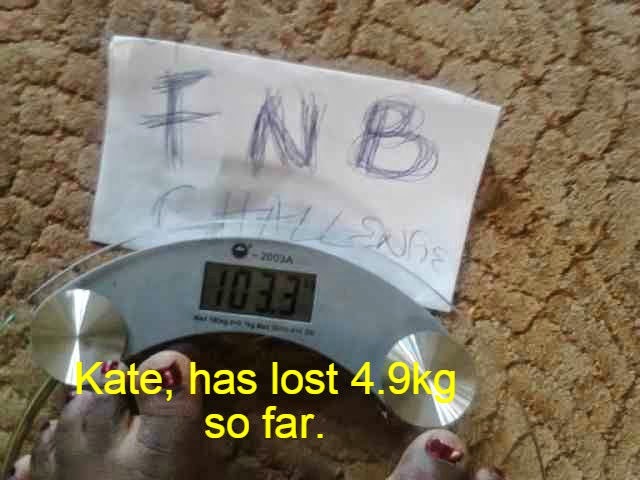 Hahahahahahaha... Ah Kate why evils... 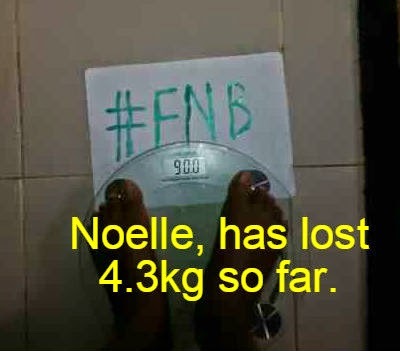 It's not fair oh..lool..u hv motivated me to buckle up. We shall see. :p.
wow! 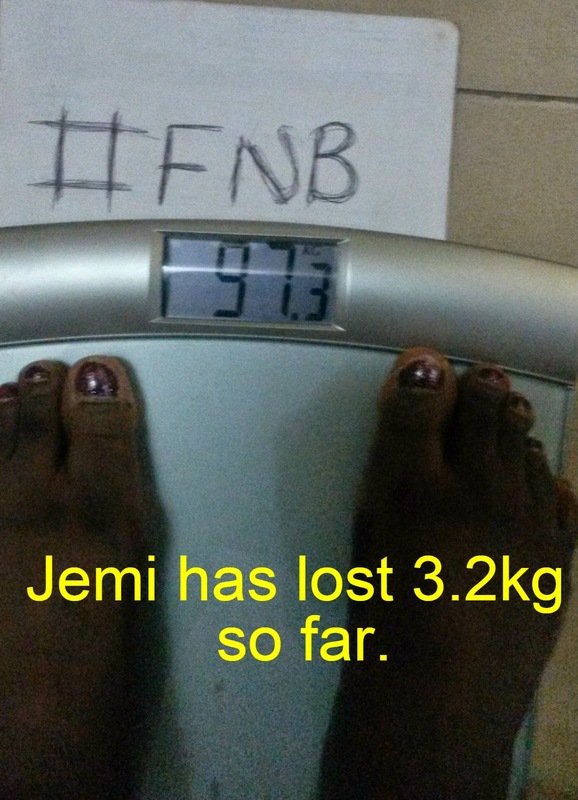 am glad they are seeing results, its not easy. 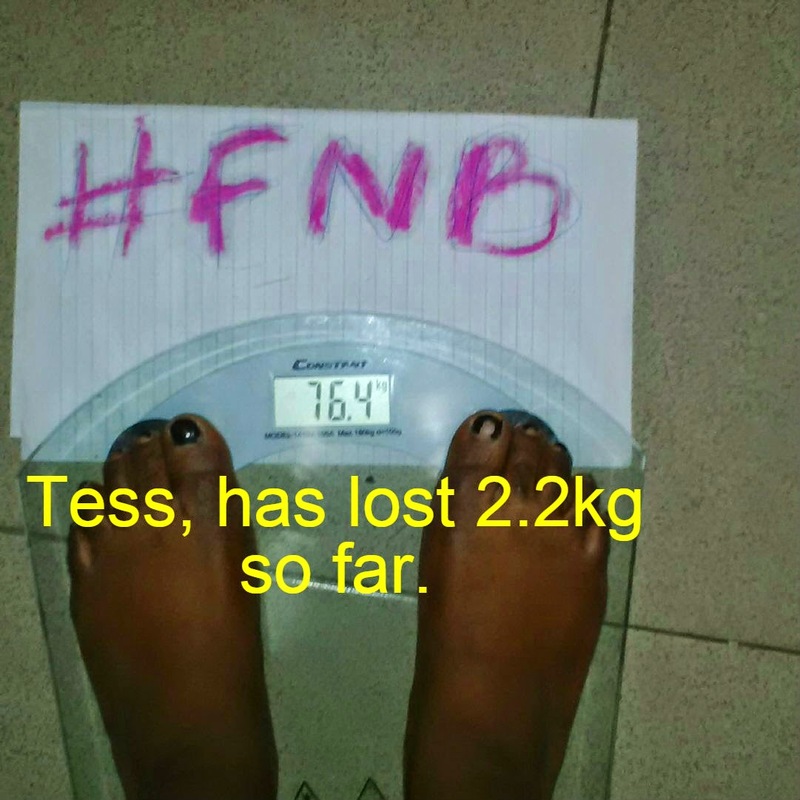 welldone ladies. Thanks Sweet. How are you doing?